While doing massive security upgrades like installing a complete alarm system or electric fence are not affordable – installing outdoor lighting is. Whether you install simple LED floodlights or more complex Solar LED lights with motion sensing capabilities – it will significantly improve the safety and security of your home. I will even go so far as to say that it is mandatory. Throughout this website I have constantly emphasised the importance of outdoor security lighting to improve the security of your home. If you’re looking to buy an LED floodlight with PIR or without, this article will provide you with the relevant information. DIY light installations are pretty straight forward. You can purchase light online and have them delivered to your home. This will save you loads of time and effort and you can easily and quickly compare the available options to choose the right wattage or lumens that you need. Most hijackings and robberies happen in our driveways – especially if the driveway is dark or concealed by bushes and trees. This is simply because criminals always look for easy targets where the risk of being spotted and disturbed are minimal. Better lighting will help you deter burglars, robbers and help you avoid a home invasion. Having a dark driveway and garden also increases the chances of having your home burglarised during the night and early hours of the morning since, once again, criminals love to do their dirty work in the shadows. For practical reasons – no one wants to be having a braai with a torch in hand or fumble around in the dark to find their keys. Security – as mentioned criminals tend to avoid well lit areas. It will make it easier for you to spot criminals before you enter your driveway as well as help you spot them from inside your home. 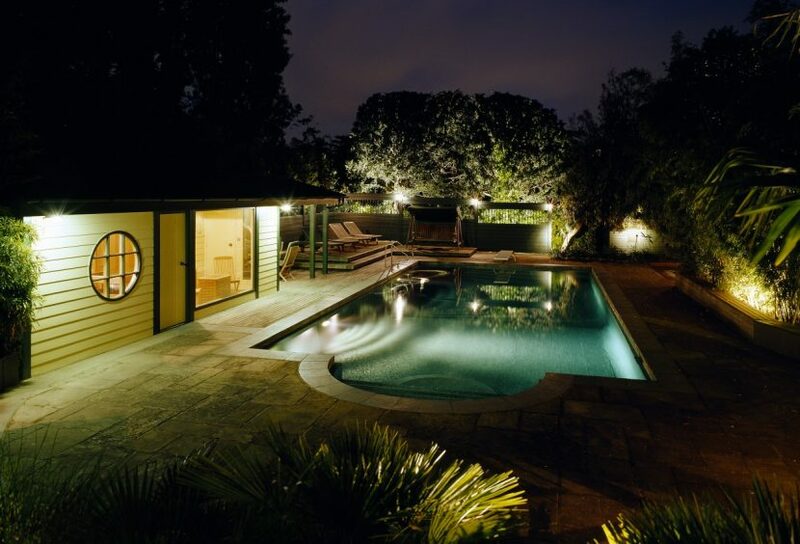 Flood lights will help your security company patrollers spot intruders – especially while you’re away on holiday. A LED floodlight with a motion senor will help detect intruders and alert you to strange activity in the vicinity of your home. LED floodlights consume less energy than halogen, incandescent or metal halide lights. LED floodlights offer more lumens per watt – so your get more light with less energy consumption. LED floodlights make it harder for criminals on the prowl to see inside your home at night. An important security tip is to always important to draw your curtains to prevent criminals from finding out how many people are home and where everyone is. You can easily install an LED floodlight yourself so you don’t need to get someone in to do it for you. When purchasing an LED floodlight or any other type of light you will come across the word “lumens” in the technical specifications. Lumens refer to the amount of light that can be seen with the human eye from a single light source. The higher the number of lumens the more powerful and bright the light will be. A standard 40W halogen light bulb offers around 450 lumens while a 60w light bulb offers between 800 and 850 lumens. A 100W LED floodlight offers about 8500 lumens while a typical 50W LED floodlight offers about 4500 lumens. LED lights are a good choice for outdoor applications because they provide more light with less energy since they do not lose energy by creating heat but rather – more light! While most people know that the higher the wattage of a halogen bulb the brighter it will be, with the increasing popularity of LED’s wattage can actually be quite misleading and you may want to refer to the lumens. You can roughly calculate how many lumens an LED light has since 1 watt will typically offer 90 lumens. Other light sources – if there are street lights close by, other floodlights or bulbs or lights from surrounding buildings. The area you wish to light – you need to consider that the beam angle of the floodlight is 120o and the lower the wattage or the lower the lumens – the smaller the space will be light up. The presence of trees and shrubbery – trees and bushes make it more difficult for people to see what is going on in your driveway and will also reduce light coming in from nearby sources. See the article entitled garden security for more tips on improving your outdoor security. Although you want to light up your home if you do not opt for a floodlight with PIR sensor and you rely on a timer – you do not want to have “too much light” not only will this consume more energy but it may help criminal easily see what is going on in your driveway and garden as well as possible highlight valuables, entrances, doors, windows and so on. The types of floodlights that can be found are halogen floodlights, metal halide floodlights and LED floodlights. In recent years, partly due to the electricity crisis in South Africa and practical considerations, LED floodlights have become the most popular option for homeowners. The “colour” of the light is usually described as either cool white or warm white. LED floodlight housing is made from aluminium and die cast aluminium. Where can flood lights be used? LED floodlights can be used just about anywhere including indoors. Not only can they light up your driveway, parking, patio, lapa and garden but they can also be used to light up trees and give a lovely aesthetically pleasing appearance to your garden at night. Although we are primarily concerned with safety and security and preventing your home from being targeted by criminals – additional practical reasons to have good lighting is always considered. You can get a 10W, 20W, 30W, 50W, 60W, 70W, 80W, 100W, 150W and 200W LED floodlight. If you’re looking to light up different sections of your garden and driveway – since a single light will not do the job – you may want to adjust the wattage based on the size of the space you need to light up. A 10W LED floodlight will suffice on top of an entrance or to light up a dark corner concealed by bushes or trees. PIR stands for passive infrared and is simply a sensor that will detect infrared radiation emanating from objects and trigger the switch to turn your light on. A PIR sensor is “passive” because it does not consume energy to detect the infrared radiation. I recommend the LED floodlights with PIR because they add an extra layer of security since they can help detect intruders in your driveway and garage as well as save on energy since the light will only be on when it’s needed. A 10W, 12V floodlight offers about 800 lumens and 50,000 hours of operation. This is not ideal for driveways, in my opinion, but, they are great to install above back doors, storerooms, sheds and other outbuildings. Many 10W LED floodlights come with a motion sensor that typically has a range of between 1 and 8m and are quite inexpensive. A 20W LED floodlight typically offers between 1600 and 1800 lumens and is one of the more common options for South African homes. This light will not be so bright that it cause serious glare nor so weak that it can is inefficient. A 50W LED floodlight can be used to light up your back yard, garden or driveway. This offers about 4000 to 4500 lumens with a sensing range of about 10m. Using a powerful LED floodlight may seem like a good idea at first but it can cause serious glare and it is usually best to use 2 weaker lights to reduce glare. For instance instead of using a single 50W LED floodlight in between a double garage to light up the space you can use 2 20W LED floodlights above each garage. Alternatively you could use a compatible dimmer, however, be aware of potential buzzing that may be caused by dimmers. 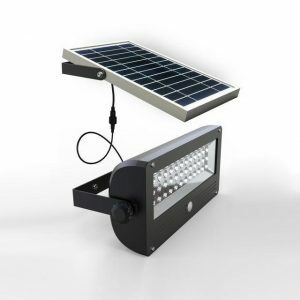 Solar powered LED lights are easy to install yourself and durable and are the ultimate in energy consumption. Some solar powered LED floodlights offer only about 630 lumens and are 7W lights however, these are ideal if you’re looking for a long term energy efficient security upgrade. The detection area for the Solar LED PIR security light ranges from 3 to 5 meters. Not ideal for driveways requiring lots of light but are fantastic since they will still work during power outages and offer an extra security barrier. 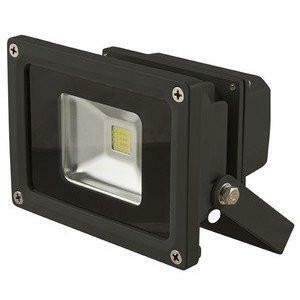 You can buy LED floodlights at any Builders Warehouse or lighting outlet as well as online. Do you have any questions or comments? How long has your LED floodlight lasted? What do you think about the fact that the import of incandescent lights was banned in South Africa in June of 2011?